Adam Afriyie has served as Conservative MP for Windsor since 2005. Recently in the June 2017 General Election, Adam received 34,718 votes, which equaled a 64.4% majority, retaining his seat. Adam Afriyie was born in Wimbledon in 1965. He attended Addey & Stanhope Grammar School and gained a BSc in Agricultural Economics from Imperial College (Wye) of London University. 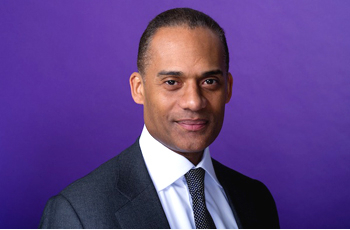 Adam Afriyie was founding director of Connect Support Services, an IT services company pioneering fixed-price support since 1993. Connect was recognised in the Virgin Sunday Times Fasttrack 100 of Britain's fastest growing private companies in 2002, and he now acts as non-executive Chairman. He was also Chairman of DeHavilland Information Services plc, news and information services company till 2005, and was a regional finalist in the 2003 Ernst and Young Entrepreneur of the year awards. Past appointments have included Governor of the Museum of London, Trustee of the Museum in Docklands, and a director of Policy Exchange - the centre-right think tank. Since he joined the Party in 1990, Adam has been an experienced Conservative activist for many years. Selected as the candidate on 3rd October 2003, Adam was elected to Parliament as the Conservative MP for Windsor on 5th May 2005. Adam has served as Shadow Minister of State for Lifelong Learning, Further and Higher Education and Shadow Minister for Innovation and Skills. He has also served as Chair of the Parliamentary Office of Science and Technology, and as Chair of the Members' Expenses Committee. He currently continues to campaign locally to stop insensitive over-development, curb anti-social behaviour, and reduce aircraft noise.